How long has ATB been part of the Alberta Avenue community? ATB has been on Alberta Ave for over 25 years. We just celebrated our 80th Anniversary in 2018. The bank was created to help Albertans out of the Great Depression. We have remained focused on being there for Albertans, with our main purpose of creating customer happiness. Our future is focused on being customer obsessed and being THE place to bank and work. 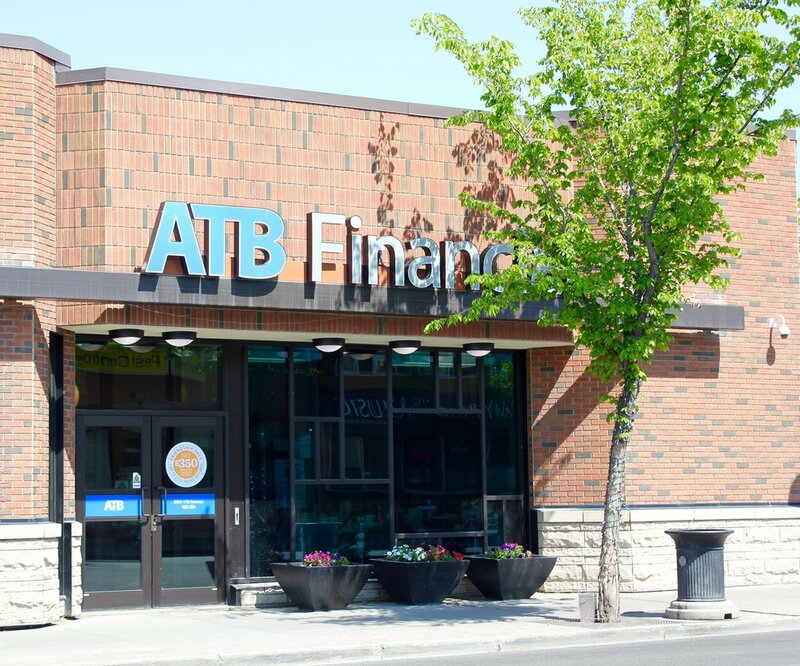 Recently there have been changes on the Ave with some banks choosing to move locations off of the Ave. ATB is proud to support the client's of the Alberta Avenue area and works hard to ensure we are here for the community in many different aspects. What types of programs does ATB offer to support the Alberta Avenue community? ATB supports our community in various different ways. To mention some that stand out to me here would be our JR. ATB program. I've had the pleasure of working with Delton School this year on essentially a 'bank within the school'. We give the students in grades 4-6 an opportunity to apply for a job position with Jr. ATB, go through an interview and receive feedback or get hired on to our staff for the banking year in the school. They receive work experience as a teller, greeter, back cash, or the opportunity to sit on the board in a role such as CEO, Vice Chair, Treasurer etc. We have various banking days throughout the year where students get to create marketing incentives, and learn how to save their money. They receive a reference letter and certificate at the end of the year that they will have to support them in their futures. This program has grown to run at over 40 schools in the Edmonton area alone. There are Edmontonians that can have some challenges when it comes to doing their banking and being able to provide the necessary ID or information typically required to set up an account. ATB offers biometrics at our Four Directions Financial on Boyle Street, which is the first of it's kind in Canada. Client's can be authenticated via finger prints and Iris scans making banking accessible to everyone. They offer additional support with financial literacy should our customers need it. What are your thoughts about Alberta Avenue since your time here? I came to Alberta Ave in October of 2018. I was excited about the community involvement aspect I had heard so much about. I was surprised after starting at how much it feels like it's own little small town. It really has a great heart of residents and business owners that are passionate about seeing the Ave as a vibrant destination to explore. The revitalization work that has been completed is really noticeable and so important that it continues. There is so much to offer Edmontonians and visitors on the Ave from amazing coffee shops, bakeries, ethnic cuisines, auto services, family and youth resources, to grocery stores and banks. I'm excited to experience the festivals and events that happen throughout the year like Eats on 118. Small business really seems to be the heart of Alberta Ave.
At ATB we offer so many resources for Entrepreneurs to utilize that can help support those business owners. Each ATB Entrepreneur Centre has an intentionally different look and feel from an ATB branch, providing resources, common space and meeting space that entrepreneurs can utilize if they are an ATB customer or not. The facility also serves as a place to attend a variety of events and workshops designed to assist entrepreneurs with their business planning, and all Albertans with their personal banking needs. Sign up for Alberta Avenue Business Association’s newsletter to find out more about ATB and our other amazing businesses. Plus, be entered to win this gift basket from ATB Financial.